This article presents the case for the use of game-based learning in e-learning environments. The post considers the elements of games that make them engaging and successful learning tools. 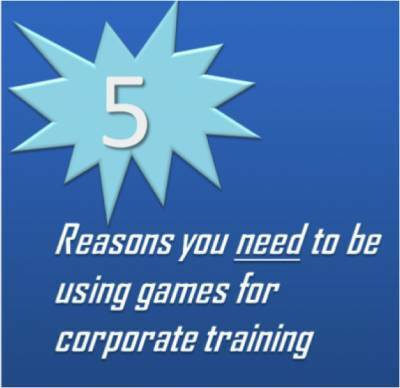 Read more to find out why you’re missing out by not using games for training and development. It's quite evident that people are more likely to gain the skills and knowledge they need to succeed when they're interested in learning. Think back to middle school, of the kid in the back of the room napping while your science teacher shows a documentary or drones on about Boron. He's definitely not engaged with his learning. It's also not entirely his fault; methods of instruction play a big part in the learners' interest level. Few people get excited for a worksheet. Most people enjoy playing games, even if they don't know it. They tap into our emotions through pleasure, reward, competition, surprise, and more.Games harness our intrinsic motivations - in this case the desire to learn for the sake of the enjoyment of the learning process - to motivate us. They give us a sense of autonomy, competency, and relatedness, which are the cornerstones of intrinsic motivation. 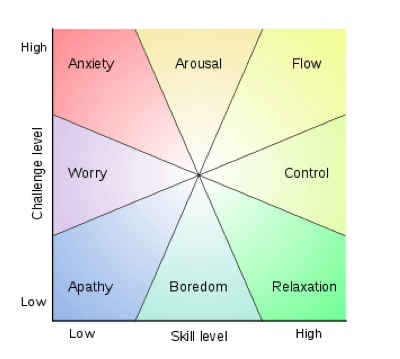 Game players often reach what's known as the "flow" state. Flow, a term coined by psychologist Mihály Csíkszentmihályi, refers to a mental state of complete focus. It's possibly understood the easiest as the feeling athletes refer to as being "in the zone".This flow state is valuable as a framework to understand learners' emotions and what promotes engagement. Although many visualizations depict the flow state simply as a zone in between boredom and anxiety (which is a fine simplification for most purposes), in this instance it's more important to take a deeper look at the concept. From the image above you can see that on the axes of challenge and skill level, low challenge levels produce apathy, boredom, or relaxation based on the person's skill level. On the other hand, high challenge levels lead to anxiety, arousal, or flow.Learning games, when designed expertly, create a balance between the skill level of the player and the challenge of the game. As the game progresses, the difficulty increases with the player's improved comprehension, ensuring that he or she does not become bored or worried. Quizzes, conversely, are generally randomized sets of questions that certainly do not cultivate flow. Even quizzes that do build in difficulty are unlikely to sustain the interest of learners, being less interactive and aesthetically appealing. Although relatively few organizations have adopted games as a part of their training curriculum to this point, the research shows unequivocally the benefits of game-based learning. 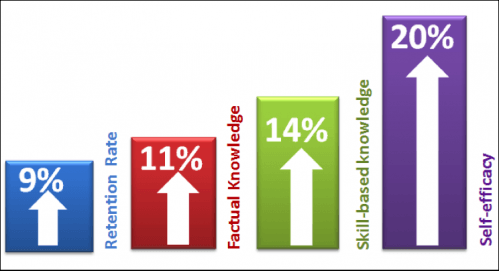 A meta-analysis by the UC-Denver Business School concluded that those who played learning games ended up with 11% higher factual knowledge, 14% higher skill-based knowledge, and 9% higher retention rate than those who used other methods. Players also developed self-efficacy, the belief that one can achieve his or her goals, at a 20% higher rate. Think about it - employees who played training games remembered more, presented a higher understanding of the skills and facts needed to succeed at the job, and felt more confident about their abilities to perform their duties.In addition to all the other reasons discussed below, games work by providing immediate progress feedback to the learner. Rather than waiting until the end of a series of modules or videos to demonstrate mastery of the knowledge, typically by taking a quiz, game-based learning forces accountability with each decision the player makes. Rather than clicking next over and over again, or choosing quiz answers until the right one sticks, players must actively take part in the learning process and demonstrate their knowledge and abilities as they develop in order to complete the game.In-game player decisions also provide valuable data insights into employees' abilities and areas that are still ripe for improvement. As a manager, it's incredibly valuable to have access to information about the areas of training curriculum that your employees are struggling with, provided by data, and then be able to apply coaching techniques - one on ones, supplementary materials, etc. to aid in the learning process. It's probably safe to say those reading this post right now understand the value of corporate training to begin with. Throwing someone into a job without any preparation doesn't make sense. The person is very, very likely to make critical mistakes that will cost money, create negative customer experiences, and lead to other undesirable outcomes.Games in particular provide an excellent environment to learn through failure because they disarm in the learner. Transported to a virtual environment, the learner is free to make decisions that lead her to fail and provide instructional opportunity. But unlike other forms of e-learning, such as worksheets, videos, and quizzes, games actually provide the learner with the opportunity to practice the content. Rather than sitting back and watching someone else explain how something is done, a player performs the task herself. Failure also promotes better learning opportunities in games than other teaching methods. If you fail a quiz or miss a question, you are often prompted with the correct answer(s). Great, but it's doubtful you'll remember that in the long run. You might even be able to take the quiz again, but it's very likely you'll remember the answers for their wording (not necessarily their meaning/content). In a game, replaying a level reinforces the content, and you just can't move on in the game without demonstrating that you understand each individual concept. It's important to understand that the potential behind serious games is more than mere speculation that people like playing games and therefore will like playing games for learning. 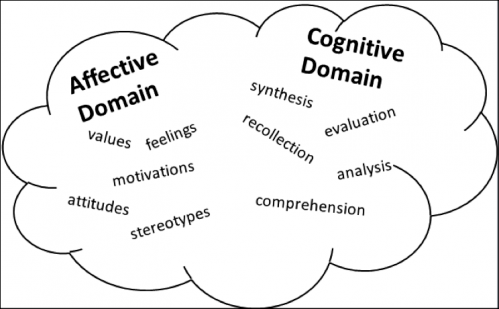 Learning games reflect several important pedagogical theories including:Constructivism: A highly personal view of learning, constructivism suggests that people create knowledge through interpretation of what they see, read, hear, and do. It also says that learners demonstrate understanding not through regurgitating information but from demonstrating conceptual knowledge. Games allow learners to build their knowledge base by making decisions and interacting with the world of the game, thereby constructing their own understanding of the content.Situated Learning Theory: Situated Learning Theory, an expansion of contructivist theory, posits that people learn better when placed in authentic contexts that parallel real world tasks, interacting with others rather than receiving knowledge that they are expected to apply later. Game-based learning applies this theory by creating experiences that reflect real-life job issues, like how to manage employees with different personalities, and allowing the learner the opportunity to play through different situations. Games are active forms of learning, as opposed to passive lectures or videos, which do not require much action from the learner, aside from watching, listening, and possibly taking notes. And rather than flooding the learner with large amounts of information, they present the most relevant, applicable knowledge that will allow the employee to start his or her job with the knowledge necessary to succeed. I'm not trying to oversell here - like standard training, games cannot teach every single process and its individual skills, especially as many of these are skills that we're constantly developing over the courses of our lives. However, through storytelling, emotional components, challenges, and by mimicking personal interaction, games at the very least touch upon the affective domain in a way most current corporate training does not. This brings a "human" element to game-based training that its lesser competitors can't create. Additionally, for topics like diversity that rely upon affective aspects like stereotypes and attitudes, a game can create an environment with interaction that engages the trainee beyond the cognitive thought processes. Through the engaging, immerse experiences that learning games provide, they foster the intrinsic learning motivations of employees. By providing immediate feedback and the opportunity to learn by doing, learners finish training programs with increased knowledge and improved confidence in their abilities to succeed at their jobs.